The Australian Open are over and the tennis circus continues. Before the next two highlights with the Masters events in the states take place in Indian Wells and Miami in March, the world’s elite is divided across the globe. A large part of the top stars still pauses and spares themselves for future tasks. Other players in turn are in South America at clay court tournaments on the road or in Europe on hard court. This week, there will be two tournaments in Sofia and Montpellier in the hall. From the German point of view, the start of Philipp Kohlschreiber in the city on the French south coast is especially interesting. After the successful Davis Cup appearance against Hungary, the Augsburg will continue to provide positive headlines. At the start Kohlschreiber meets Radu Albot and a tip for a German victory makes sense in this pairing. Against the three years younger player from Moldova, the class of Kohli should prevail. The position in the world rankings also indicates that between Kohlschreiber and Albot, the odds on the part of German favorites are the better choice. 58 places separate the two athletes there. Kohli is in fifth position in Montpellier and has some ambitions. The draw is not the worst and after two feasible tasks would probably wait for a quarter-final against one of the local heroes Jo-Wilfried Tsonga or Gilles Simon. First, however, it is important to focus on the task against Radu Albot, to experience there no bad surprise. As usual, the meeting will be scheduled exactly by the organizers at short notice. The yellow felt balls will fly through the hall in Montpellier at 11:00 am at the earliest. Current ranking in the world rankings: 32. 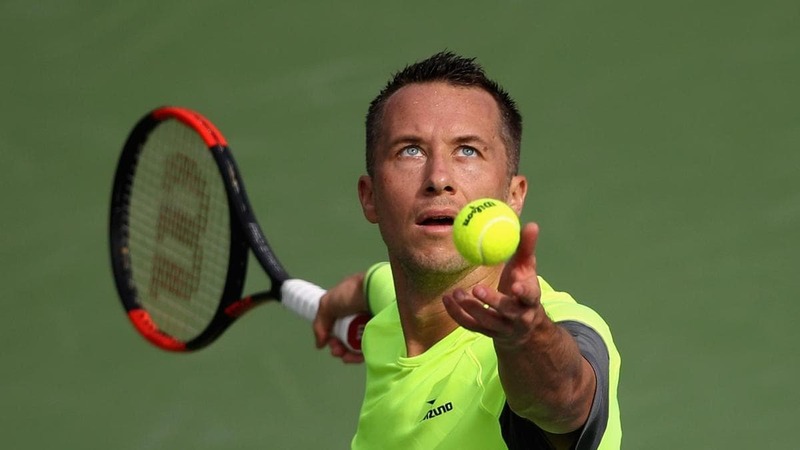 For more than a decade, Philipp Kohlschreiber has been the great constant in German tennis. Although he has now been overtaken by the youngster Alexander Zverev, he still impresses with great consistency, which has brought him to number 32 in the current world rankings. If there is something to complain about, then the fact that in recent months the big highlight in the Vita of Kohli is missing. In Montpellier, the Augsburg has therefore made some plans. So far, his performances in 2019 were neat, but not spectacular. A semifinal in Auckland is to book in which he failed somewhat surprising to Tennys Sandgren. At the Australian Open was then, after a first-round victory against an unknown Chinese, in round 2 terminal. After nearly four and a half hours and five sets, he was beaten by the Portuguese Joao Sousa. This was followed by the two mandatory victories in the Davis Cup against Hungary. Now it goes in the individual competition again and Kohlschreiber wants to do justice to Radu Albot according to the odds of his role as a favorite. The German is about equally strong on all surfaces and his very complete game is therefore also dangerous in the hall on hard court. With Kohli, much depends on his masterstroke, the one-handed backhand longline. When this blow works, it is usually a sign that he feels comfortable on the court and has a good day. Kohlschreiber has in contrast to Albot the larger repertoire with stops, slice balls and attacks, which is another tip for the tip on the German number two. If he finds the right mix of his punches and quickly gets used to the conditions in Montpellier, there’s really no reason he should stumble against the Moldovan. Current ranking in the world rankings: 90. Radu Albot is considered by many to be one of the toughest workers on the tour. Without getting too close to the 29-year-old, it’s true that he does not have the greatest talent and the most spectacular strokes. He comes across his mental strength and fitness and has to work hard for every win. The more respect one must pay him that he is now among the top 200 in the world rankings. He regularly switches between tournaments on the ATP tour or smaller Challenger events back and forth. In the second half of the year he celebrated some successes on the Challenger level. Now he wants to compete in Montpellier once again with the world elite. In 2019, only two games have been recorded at Moldavia. The first tournament in Pune had already ended on New Year’s Eve after losing to Jaume Munar. He then headed straight for the Australian Open, where he celebrated a win over Mihael Mmoh. In this four-set win, the strengths of Albot were evident. Despite a total of 13 breakballs and five breaks against him, he prevailed in four sets, because he could take the American eight times his serve. 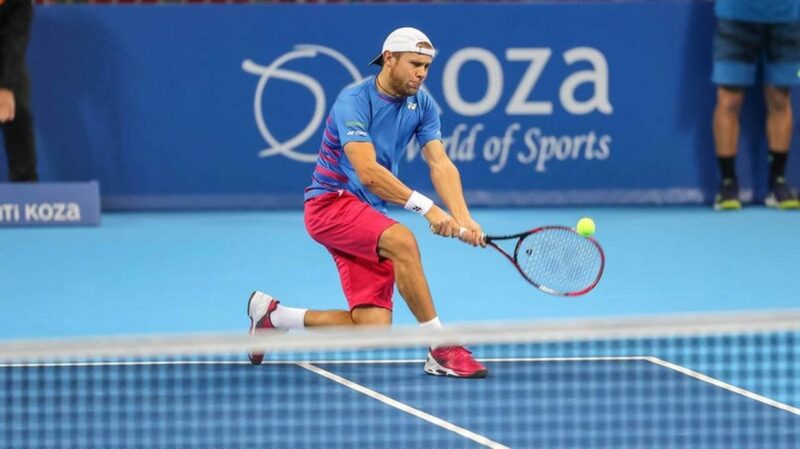 In the return game Albot is very dangerous, has good anticipation and great qualities on the defensive. Against better opponents, these skills are then often no more than because he relies too much on errors of his opponents. That was why Fernando Verdasco was the finalist on lap two of Melbourne. The 1: 6, 6: 7, 3: 6 was a clear thing and the Spaniard had something to fight only in the second round. Verdasco is purely comparable to the playful quality of a Philipp Kohlschreiber, which is why Albot rightly has the higher odds against the Germans and is in the outsider role. Almost three weeks have passed since the last match – an unusually long break. Whether this is a fitness advantage or a rhythm disadvantage, will show on Tuesday. Although both players have been on the tennis circuit for some time, this duel has never been a single match. Mostly it is because Albot plays many Challenger tournaments, while Kohli is exclusively on the ATP tour. Of course, without knowing the head-to-head record between Kohlschreiber and Albot, a prediction in this match is a little more difficult, but both players are very consistent, which is why you can imagine the match history quite well. A victory by Philipp Kohlschreiber against Radu Albot is a good tip – for several reasons. Both players are very similar from the game system. They like to act with longer rally changes from the baseline, have solid ground beats and do not have the crashing profit blows. Patience will therefore be an important topic in this match, especially for the German. If Kohli has this patience then he has clear advantages. His game is more variable and powerful. Albot, on the other hand, relies on his opponent’s mistakes, does not have the most dangerous impact and will encounter problems on the fast indoor track in Montpellier if he acts too defensively. On the other hand, this defensive awareness is precisely the Moldovan’s great strength that he would deprive himself of when taking more risks. Either way, we see no chance for the underdog to cause a surprise in this pairing. In principle, Philipp Kohlschreiber can only beat himself and after the successful Davis Cup weekend he should have enough motivation and self-confidence to live up to his favorite role on Tuesday. The 58 places difference in the world rankings will be seen and all but a clear opening victory of the Germans would be a big surprise. As for a victory of Kohlschreiber against Albot the odds are rather low, the probability of winning very large, the use can be screwed up with a clear conscience a little bit up. Eight units are scheduled, in the hope that Kohli will call on his performance in Montpellier and make a successful start to the tournament.